The at sign @ is also commonly called the at symbol or commercial at in Englishâ€”and less commonly a wide range of other terms. he fact that there is no single word in English for the symbol has prompted some writers to use the French arobase or Spanish arrobaâ€”or to coin new words such as asperand, ampersatâ€”but none of these have achieved wide currency. Sei proprio sicuro di conoscere tutte le parole della lingua italiana? 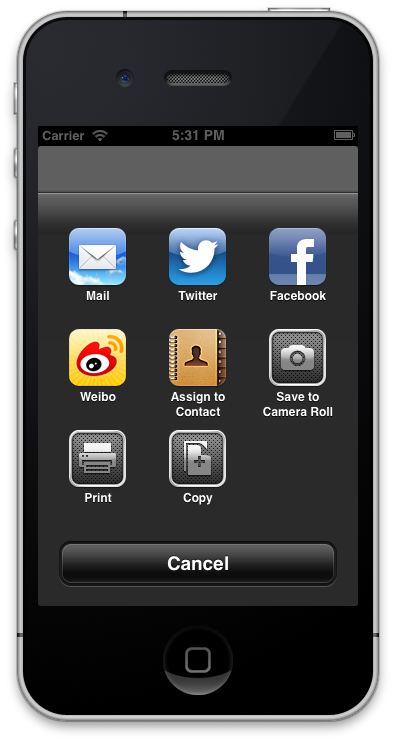 Simply, make a screenshot of your app and render the frame f your captured image, adding the UI components that you want.